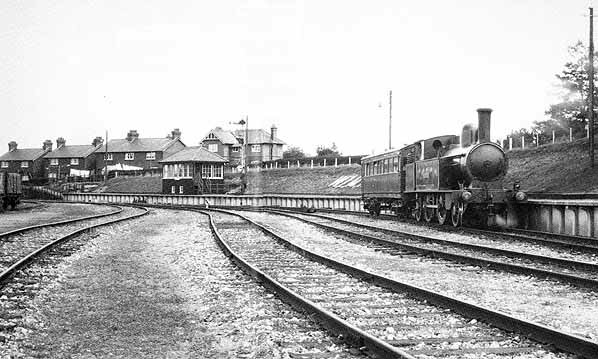 Notes: The branch line to Bordon was built under the 1896 Light Railway Act. 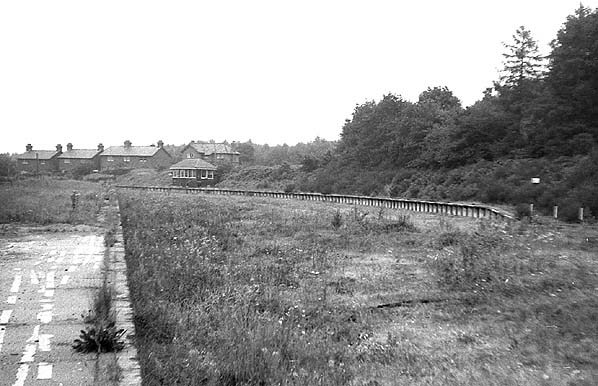 The line was built with the help of the War Department to ease troop movements to Bordon Camp and to bring stores into the camp. 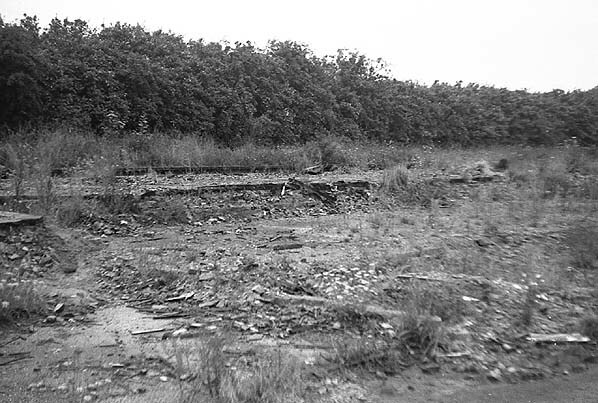 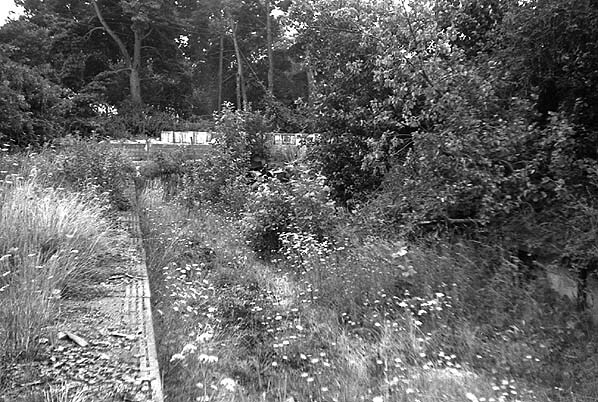 In 1905, the same year the Bordon branch opened the War Department decided to build its own standard gauge line from Longmoor to Borden where there was to be an exchange siding with the LSWR. 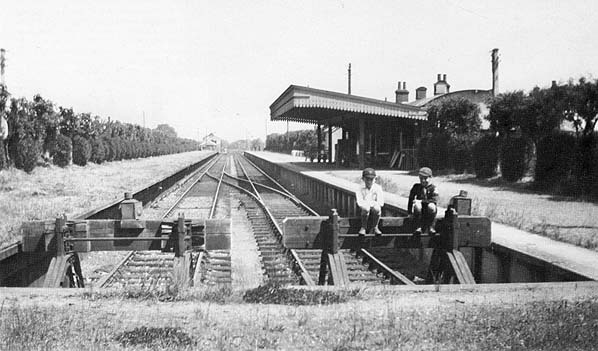 The Woolmer Instructional Railway (later renamed The Longmoor Military Railway in 1935) was extended south to Liss in 1933. 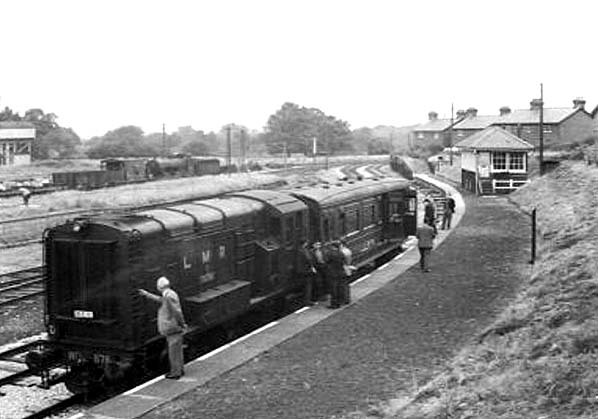 Although built as a passenger line the majority of traffic on the Bordon branch was always military and it was heavily used in both world wars. 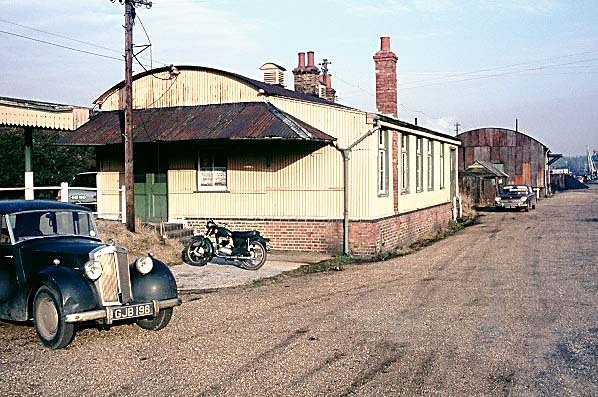 After WW2 passenger traffic dropped of quickly and the line was closed to passengers in 1957 and to goods in 1966. 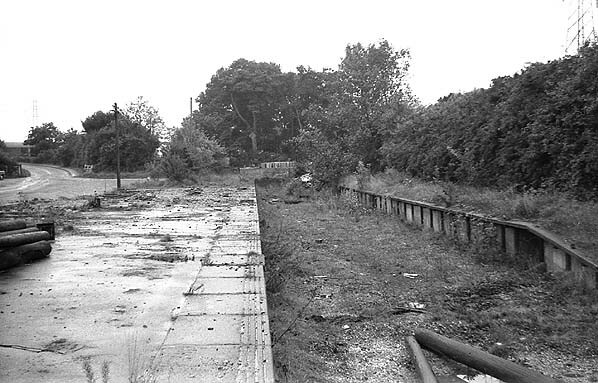 The track was lifted later the same year. 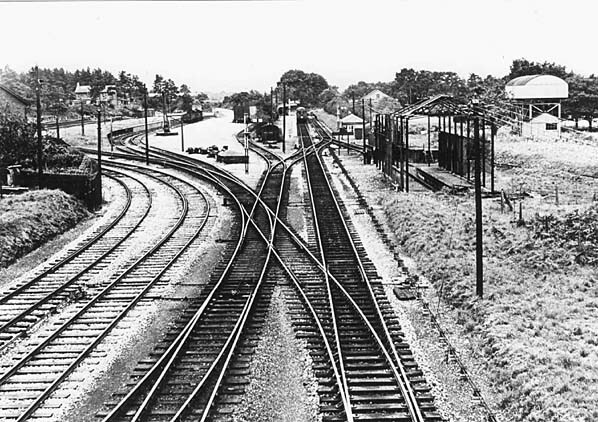 Borden station in January 1965.